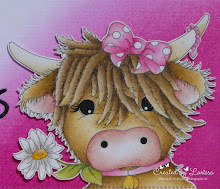 Goodmorning, today I am posting a new card on the blog from Gerda Steiner designs. 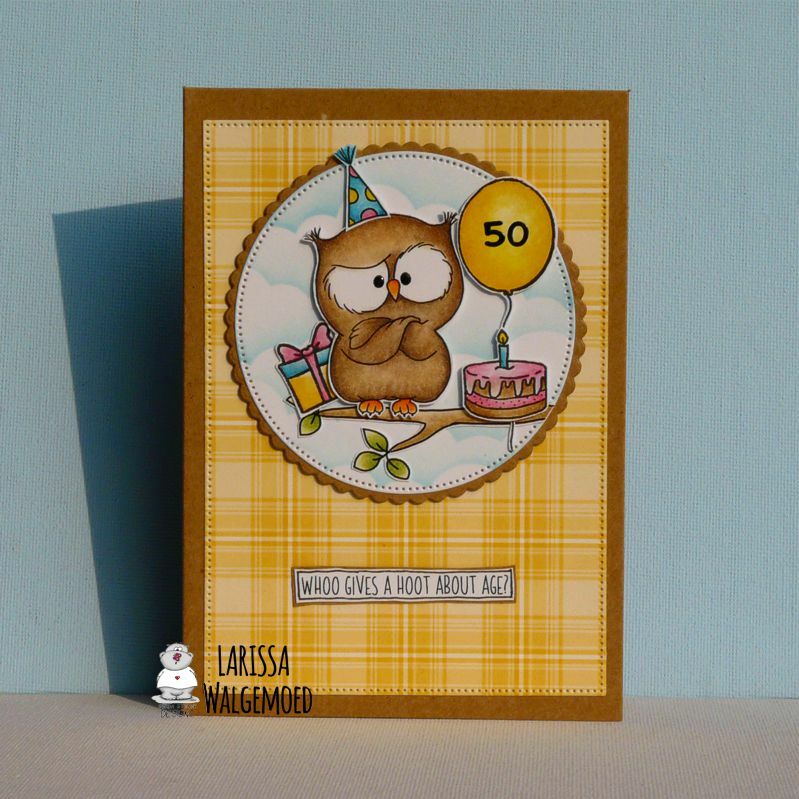 This time I made a birthday card for someone who will be celebrating her 50th birthday soon. I forgot to take a picture of the inside of the card. On the inside I stamped the sentiment Happy birthday. 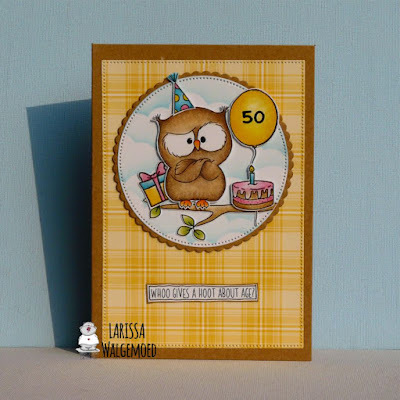 I used 5 different stampsets to make this card. The owl and branch are from the set Owl rather be with you from Gerda Steiner designs. 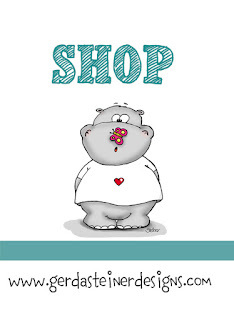 The present is from the stampset Monster fun from Gerda Steiner designs. The delicious cake is from the set Party animals from Gerda Steiner designs. I have used a partyhat from the set Dachshunds from Gerda Steiner designs. The balloon is from the stampset Happy hoppy from Gerda Steiner designs and I decorated it with black number stickers.I have coloured all the images with my Polychromos pencils and the black glaze pen and then I have fussy cut them all. With the Crea-nest-lies XXL 44 from Crealies I have diecut a rectangle from yellow design paper from the Perfectly plaid spring paperpad from Lawn fawn. I glued it on a kraft card. With the Crea-nest-lies XXL 49 from Crealies I have die-cut a circle from white cardstock. I made a background on it with the Mini cloud edges stencil from My favorite things and Tumbled glass distress ink. 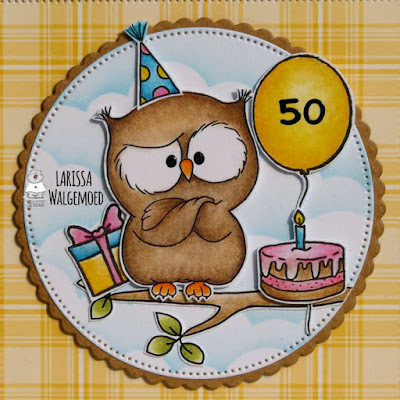 I have diecut a scalloped circle from kraft cardstock with the Crea-nest-lies XXL 53 from Crealies and glued the circle with the images on it. The sentiment is made on the computer and after I printed it I added a frame around it with a black pen. 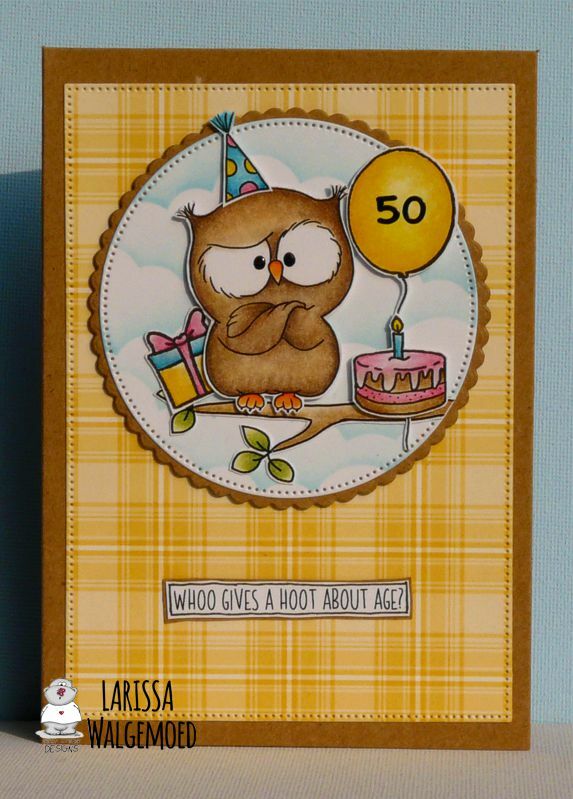 I glued the sentiment on kraft cardstock and then I glued it on the card. Whooo is Awesome?? - You are! !